Apna Sweets only use in-house “Gram Flour” and Pure Desi Ghee of Premium Grade. We purchase premium quality pulse and grind them in good condition. 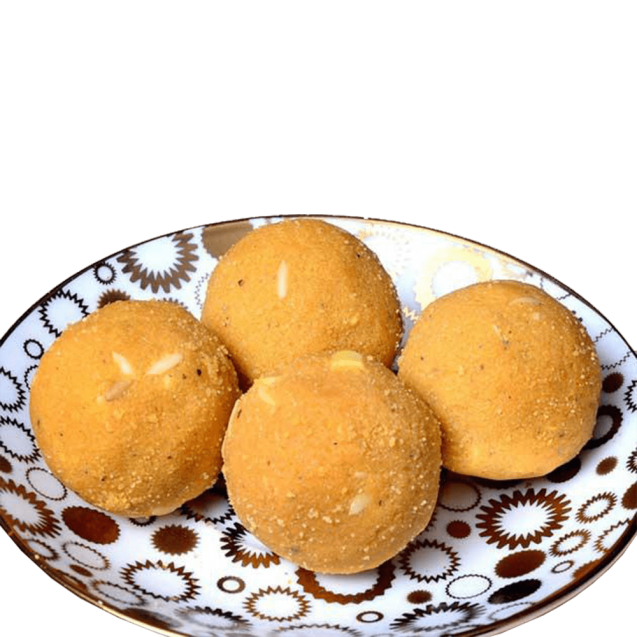 Shelf life of Besan Laddu is 30 days (In Special Condition). Gram Flour, Desi Ghee (Premium Quality), Sugar, Dry Fruits.